The fourth annual Amazon Prime Day is upon us. Today, Amazon will offer thousands of deals on products across its site, starting at 3 p.m. EDT and running for a total of 36 hours. If you want to know what's for sale and how to take advantage of Amazon's huge savings, this is the guide for you. Amazon claims users will have access to "thousands" of deals this Prime Day, from all different departments and in nearly every category that Amazon covers. While many of those deals might not include gadget-related items, there is sure to be a wealth of discounts on tech-friendly products. We know about some already, but for others, we'll just have to wait and see. While the answer here can be simply summed up by "have fun shopping," there are a few steps you can take to ensure your shopping experience on Monday runs as smoothly and effectively as possible. While not all Prime Day deals require users to be Prime members, many do. If you really want to take advantage of all the deals Amazon's offering this year, you'll want to sign up for a membership. Amazon offers three Prime plans for customers, but for Prime Day, only two matter, as the third simply gives users access to Amazon Prime Video. The two that will work cost $12.99/month and $119/year. Both plans are identical, except the yearly subscription saves you $36.88 every year (and yes, both come with Amazon Prime Video). If you're not sure if you want to use Amazon Prime for longer than Prime Day, you can sign up for a free 30-day trial of Prime before investing any money into something you may not like. 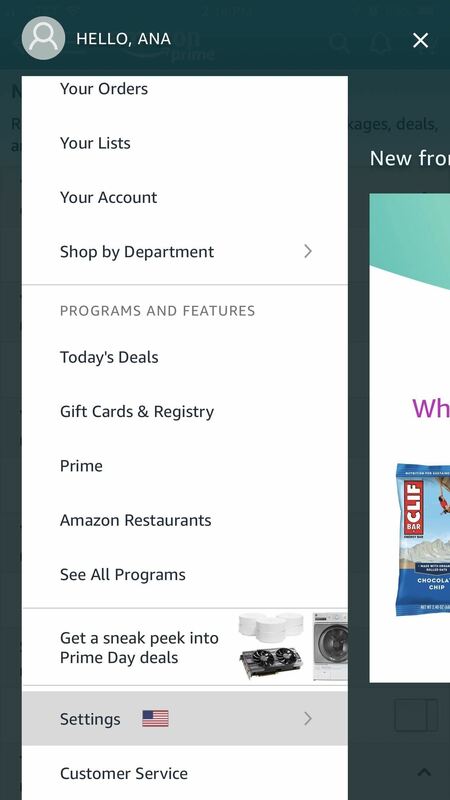 You don't need the Amazon app to shop on Prime Day, however, it does offer a more streamlined and organized system for finding deals. Plus, the app offers sneak-peak deals ahead of Prime Day, so you can add items to your cart before everyone else. If you'd prefer to browse the discounts on your smartphone rather than your computer, downloading the app for iOS or Android is a no-brainer. Plus, if you sign into the Amazon app for the first time, you'll get $10 to spend on Prime Day. To see if you can get this reward, just visit Amazon's app promotion page after signing in on the mobile app. 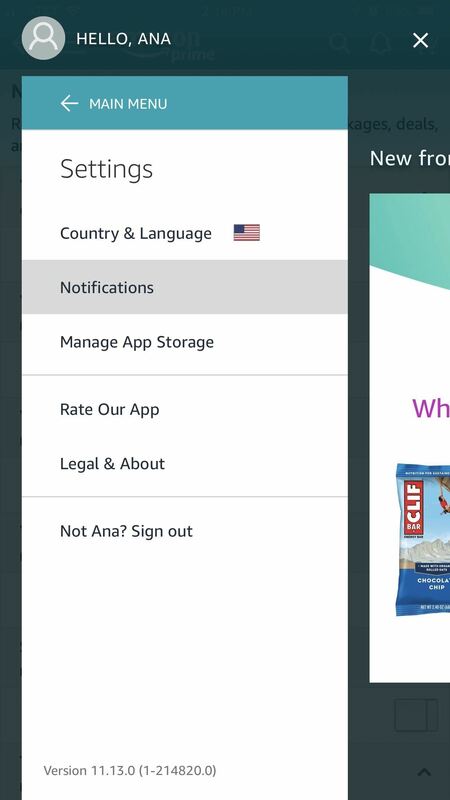 If you're eligible, you'll get $10 to spend, but if not, it will say "Our records indicate that you are either not a Prime member or have already signed-in to the app. Therefore, you are ineligible for this offer." Not all deals will be available at the same time on Prime Day. You might notice a "Starts" timer next to the item you'd like to purchase, letting you know what time that product will be available. Instead of committing multiple timers to memory, you can use "Watch" notifications to remind yourself when items go live. To enable these notifications, tap the hamburger menu, then tap "Settings." Select "Notifications" from the following screen, then locate and enable "Your Watched & Waitlisted Deals." 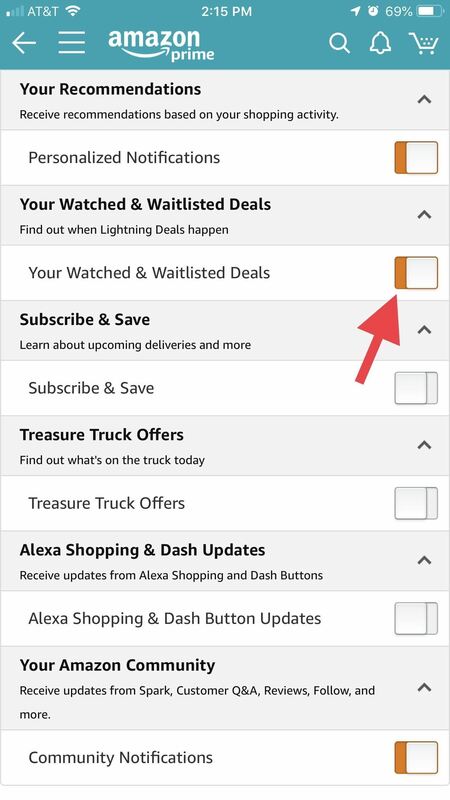 If prompted, give Amazon permission to send you notifications. The next time you come across an item that isn't for sale yet, just tap "Watch this deal." Your phone will send you a reminder when that product goes live, so you don't miss out on any purchases you're interested in making. Many of the deals on Prime Day are non-gadget related. However, that doesn't mean there aren't great savings out there on products you might be interested in. Take a peek at our roundup below for all the electronic deals Amazon has to offer. To get more bang for your buck during Prime Day, Amazon is offering more ways for you to save besides the $10 promotion for first using their mobile shopping app. If you plan on hunting for deals from your phone but actually buying them from your computer, you can install the Amazon Assistant add-on in your browser, click on the new Assistant icon, go through the quick demo, then choose "Redeem offer now to get $5 of $25 during Prime Day. For those who only want to shop from your phone, use the Camera Search feature in the Amazon app to unlock a $5 shopping reward on select Prime Day deals. Additionally, download the Whole Foods Market app (iPhone | Android) on your phone, then sign into it with your Amazon account. When you go shopping at Whole Foods before Prime Day, spend at least $10 there and make sure to scan your Prime Code from the Whole Foods app at checkout. (You can also just give them your phone number that's linked to your Amazon account.) You'll get $10 off your Prime Day order on Amazon. Type "phone accessories" into a Prime Day search, and you'll find a sea of cases, holders, and more to choose from. However, sometimes, an accessory sticks out for being too interesting to pass up, such as the Deptesch USB Otoscope, which lets you inspect your ear with your smartphone. The products listed here don't even scratch the surface of what we expect to see this Prime Day. Amazon most likely has plenty of secrets up its sleeve, and we're excited to see what they offer their users for the 36 hours that Prime Day goes on for. We'll update this guide with the biggest tech deals we can find for the smartphone-obsessed shopper.